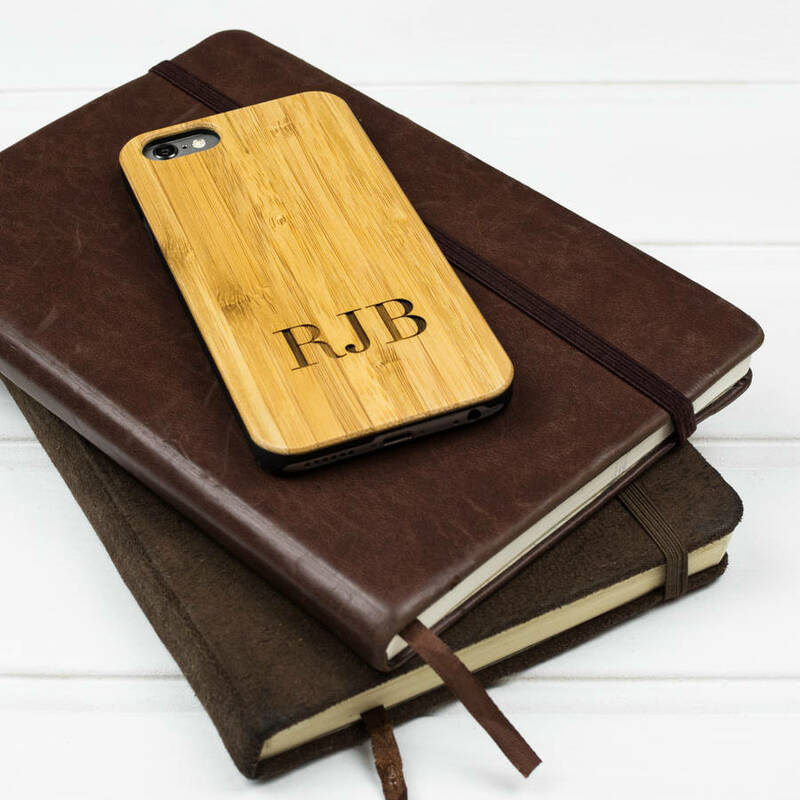 A great personalised wooden iPhone 6 case, monogrammed with 3 or 4 initials an ideal gift for the style savvy. 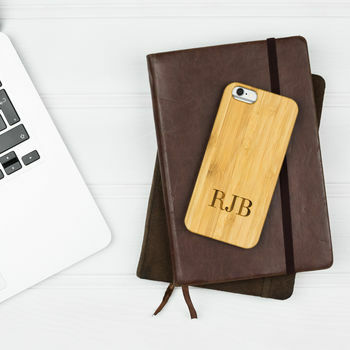 This wooden backed iPhone case offers great protection and a gender neutral, personalised option for anyone looking for a great gift for themselves or a friend. An ideal option for great wedding gifts, either for the bride & groom or the best man and ushers. Maybe the secret santa at work, if you were feeling really generous, or even for the perfect boyfriend or girlfriend stocking filler. This monogrammed iPhone case is sure to be a great gift for whoever is lucky enough to receive it! To personalise your phone case and create a monogrammed masterpiece, simply complete the option for personalisation.